As the thermally weakest part of a building envelope, windows are a critical component, often representing 50% of all heat loss in a building. 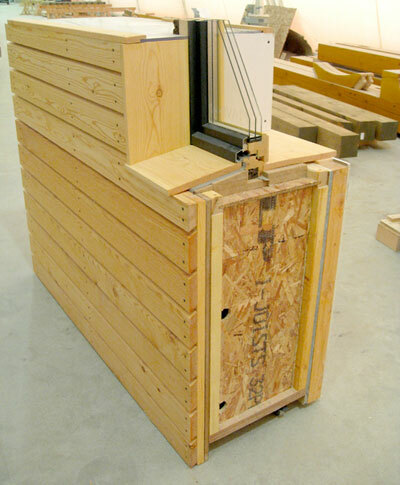 The quality of the windows is also critical to interior comfort, and in a Passive House the interior glazing and frame surfaces need to remain warm enough on cold nights to minimize interior cold spots and downdrafts. In all parts of Canada triple glazing is essential to achieve this, using two low-e coatings and argon (or krypton) gas fill, as well as insulated spacers. It’s also critical that window frames are insulated. The windows of a house on the coast of Italy are faced with completely different weather conditions to those of a mountainside building in the Alps. An international team of professionals from Europe and North America, has managed to find high quality solutions to the various problems facing windows in different climatic zones (coastal, salty sea air, alpine regions). Collective experience and troubleshooting has led to a new range of products that meet passive house standards. resulting in extremely good airtightness and consequently a high level of sound insulation, improved comfort and high energy efficiency. Production continues as usual with the usual quality supervision. Windows and lifting/sliding elements have a clean, uniform appearance. Design and flexibility are meeting architectural requirements and thus giving the building designer greater leeway. 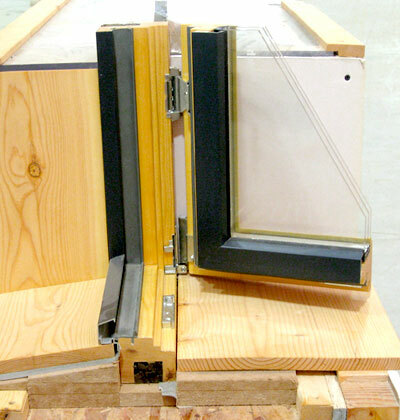 Upon customer request, glass and wood can also be bonded together to ensure greater stability.